Sewing in a zipper may seem a little bit intimidating but with the proper preparations it’s not difficult at all. Use the following steps to prepare and sew in your zipper. 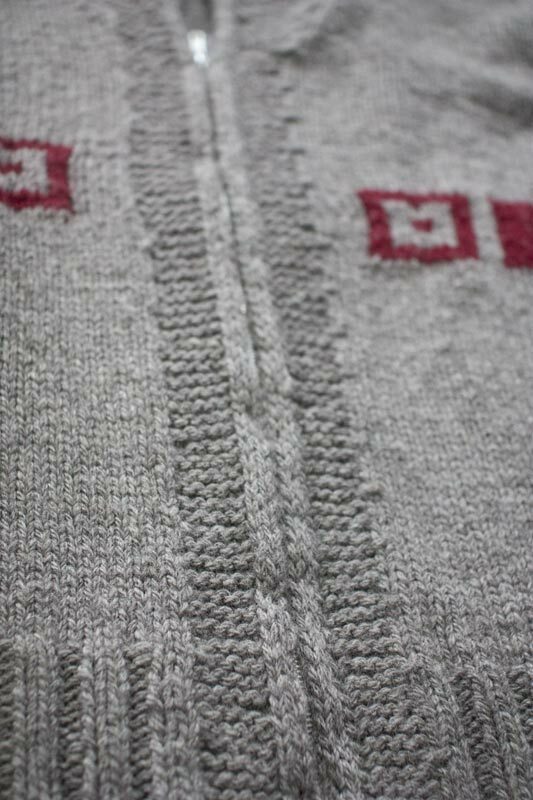 With the right side of the sweater facing you, use a scrap piece of yarn and a darning needle baste (sew loosely with the intention of removing the stitches later) together the two fronts of your sweater making sure to line up the hem. 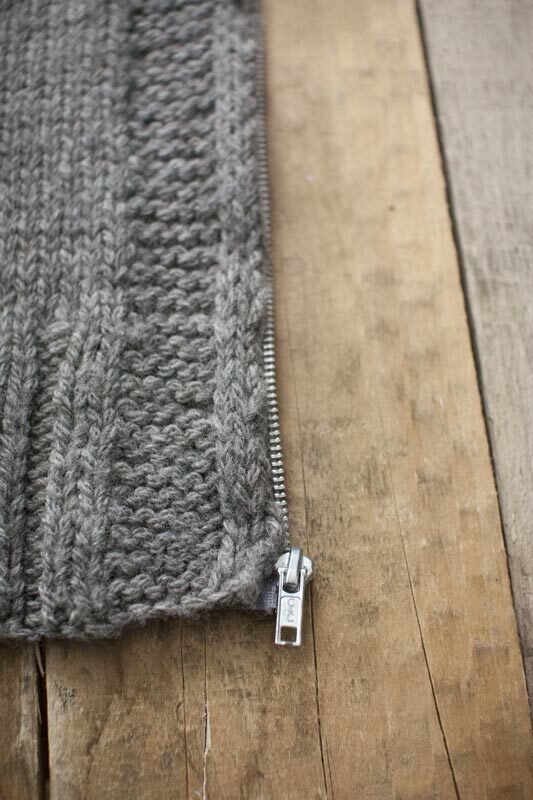 Flip your sweater so that the wrong side is now facing out and pin the in the right-side of the zipper to the wrong-side of the sweater. 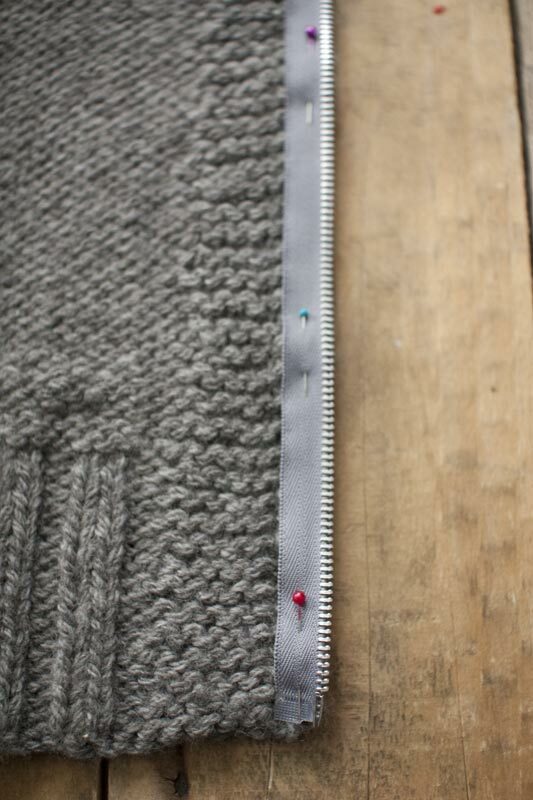 The zipper-pulls should be facing away from the you and towards the garment. Line up the teeth of the zipper on the center line of the basted front edges. Remove the basting and un-zip your zipper. If your zipper is longer than your garment, trim it from the top edge and add some safety pins to anchor the edges. This prevents the zipper-pulls from flying off. Having the fronts separated will make the actual sewing easier to handle and allow you to perfectly align the edge of the teeth slightly in from the edge of the front. 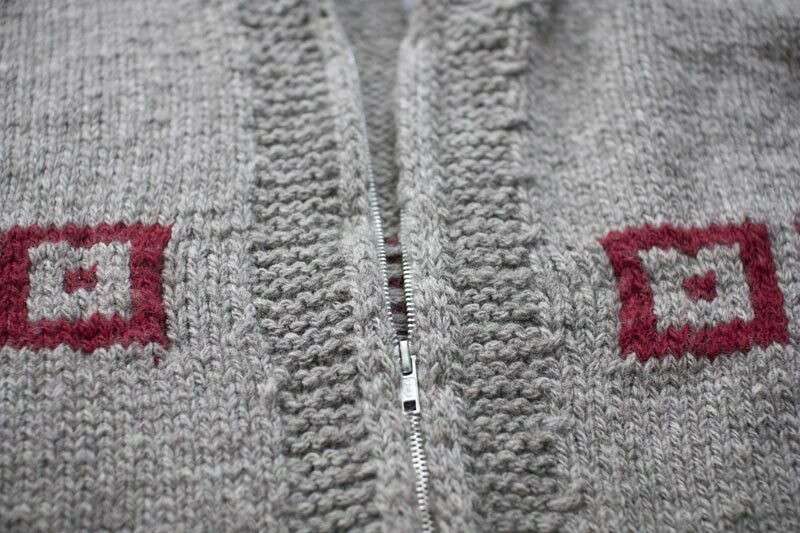 You should NOT be able to see the teeth edges from the right side of your sweater when the zipper is zipped. NOTE: if you are going to hand sew your zipper, continue from this point. 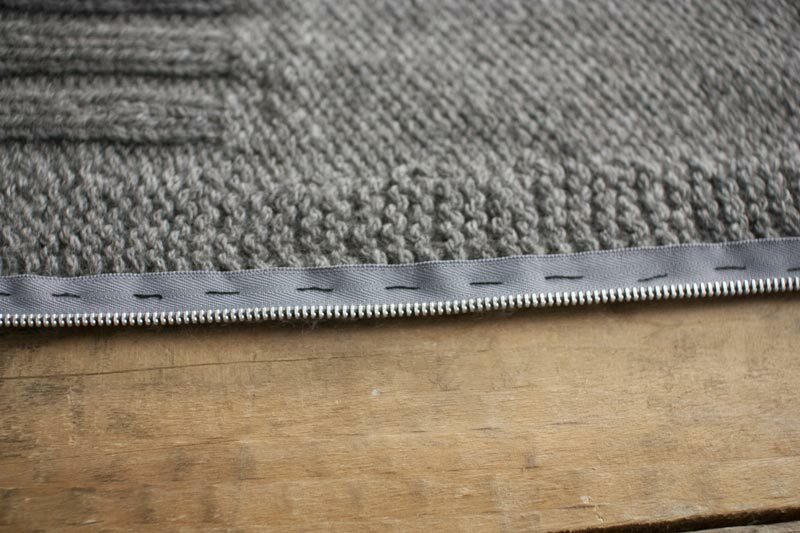 I like to use a Back Stitch to firmly sew the zipper to the sweater fronts using a sturdy thread in a matching color. 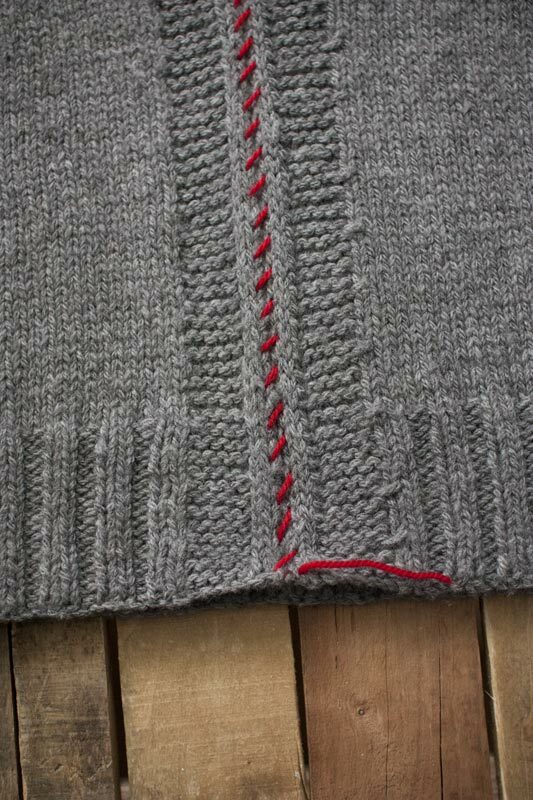 Using a needle and contrasting color of thread, baste the zipper in place. Use your fingers to line up the teeth edges and zipper tape slightly away from the edge. Basting will make the actual sewing of your zipper much simpler since you will not have to contend with pins and lining up the edge while you are sewing. Trim the zipper tape to slightly shorter than the neck edge then sew the zipper to the front edges using a sewing machine (go slow!) 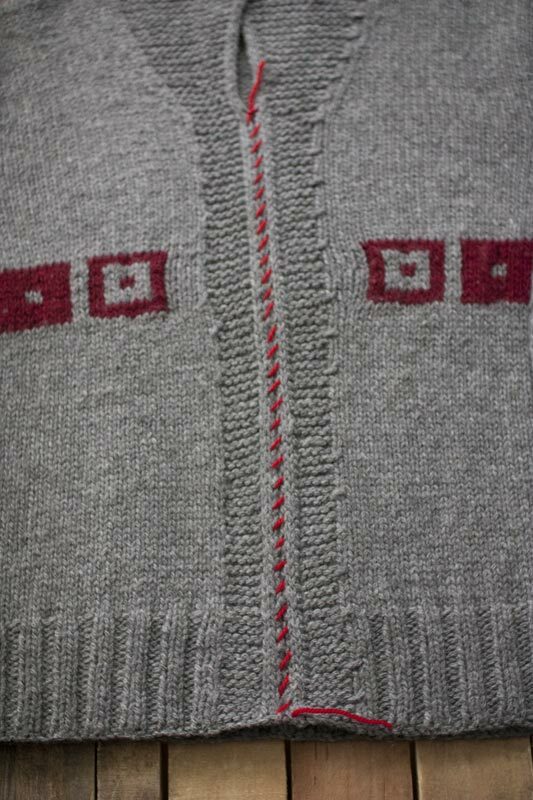 or by hand, using a even back-stitch. When trimming, be sure to cut any extra length from the top of the zipper. Carefully remove the basting thread. 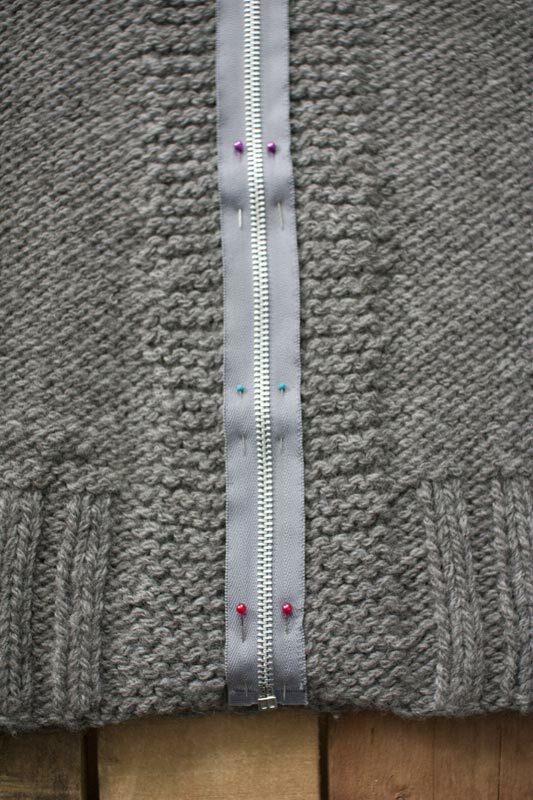 Use your sewing needle to take the top of the zipper securely to form a zipper stop just below the neck edge.